PSSSSST... I got a buddy up in Truckee, doin' his thing with those ducks. Making a bundle, I tell ya. You want the creamiest, fatty duck liver money can buy? You got the cash? Then meet me behind Willie Bird's at midnight. But remember, you get caught, you don't know me. Otherwise, Frankie and Titto might need to pay a visit to your Michelin-star-rated restaurant. Capisce? This, folks, is the hard, new reality that is foie gras. When the July 1 ban on selling foie gras in California drives the market underground, those seeking the delicacy will be forced to order the liver through code or under the cover of darkness and deceit—which, to some, may still be a better option than not having it at all. One of these people is Douglas Keane, owner and chef of Cyrus in Healdsburg. "If the product is illegal," he proclaims, "there is probably no cap on what I could sell it for." With an estimated 25 percent increase in sales of foie gras in the last year in his restaurant, Keane believes that California's impending mini-prohibition could be quite the cash-bird. "The black market is organized and ready," according to Ken Frank, chef at La Toque in Napa. "I know people who have ordered foie gras and stockpiled it in their freezers. Foie gras is not going away." Although section 25982 of the California Health and Safety code states, "A product may not be sold in California if it is the result of force-feeding a bird for the purpose of enlarging the bird's liver beyond normal size," finding ways to serve foie gras may not be such a difficult task. In 2006, a similar ban was put into effect in Chicago, where some chefs circumvented the law by not selling foie gras per se, but rather offering it as a complimentary side to another dish or with an overpriced glass of Champagne. In advance of the California ban, Hudson Valley Foie Gras in New York recently sent out an unusual memo to its California customers explaining how to work the system. "You might consider purchasing foie gras in another state, such as Nevada, and bringing it home," it reads. "We believe it is also acceptable to have a friend buy foie gras for you in another state and ship it to you at no cost." Of course, this has little effect on Sonoma's Guillermo and Junny Gonzalez, founders and owners of Sonoma Artisan Foie Gras, the only other foie gras producer in the United States besides Hudson Valley. 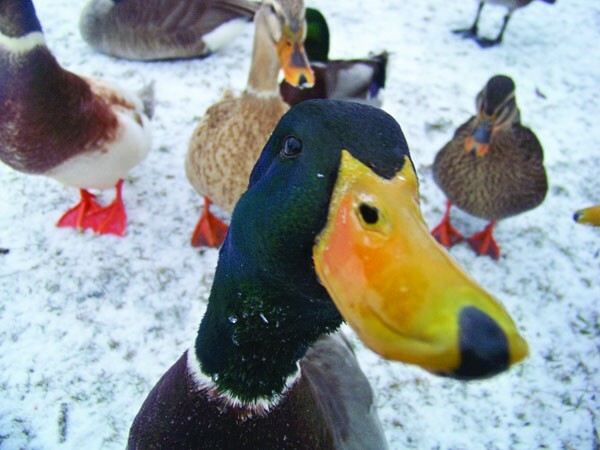 "The effect of the ban is the closing of a successful family business that for over 25 years has provided the highest quality duck products with a prevailing philosophy of utmost respect to animal husbandry practices," Guillermo says. Mark Malicki, chef at Casino Bar & Grill in Bodega, is a rare breed who has come out in support of the ban. "It's not because I want to see a man lose his business or I feel that it is somewhat unethical to force-feed a duck," he posted recently. "It's just because like so many things that used to be special now have so little meaning. I remember when foie was a special-occasion food held with a certain amount of reverence. Now any clown with $50 and an overactive imagination can turn it into ice cream or banh mi." Still, chefs on either side of the ban say the legislation is poorly written, with what appear to be numerous loopholes and enforceability issues. One of the concerns for Frank is that the black market will change how the product is produced and transported. "The incentive to do it right," he says, "will be replaced with the incentive to not get caught." It could also lead to a more abusive means of creating the product, he says. Anyone can force-feed, butcher and sell a duck from his backyard, but chances are that the harm to the animal will go up. If history has taught us anything, it's that prohibition is not always successful. Frank recalls that European groups against animal cruelty eradicated most of the veal production and consumption in the U.K. in the '90s, and the "unintended consequence" of this action was far from ideal: hundreds of thousands of male cows were slaughtered upon birth due to the fact that they held little to no value if they were not going to be used for veal. So you wanna get in the foie gras business? Sounds like it could be a real gold mine. No legitimate competition in California. No clear answer on where and how the ban will be enforced. No foreseeable cap on what one could charge for foie gras. No need to observe health and safety codes—if you do this right, you won't even pop up on a humane society officer's radar. Oh, and a ton of chefs would still love to get their hands on the prime goods. Buy yourself a plot of land, gather a gaggle of geese, employ some fly-by-night truck drivers and get to work. How Can Bill Maher Ignore Sandy Weill?